Transparent wood stain (wood glazing) with a high protective effect against UV light and moisture. Applicable on dimensionally stable wood, e.g. doors and windows, on limited dimensionally stable wood, e.g. wooden boards with tongue and groove, shutters, gates, etc., and suitable for coating dimensionally unstable wooden parts, e.g. panelling, balustrades, fences, etc. Use Capadur TwinProof preferably for bright conifers, such as pines, spruces and fir trees. Test application is advisable before applying on dark wood (see below "Colours, Note:"). 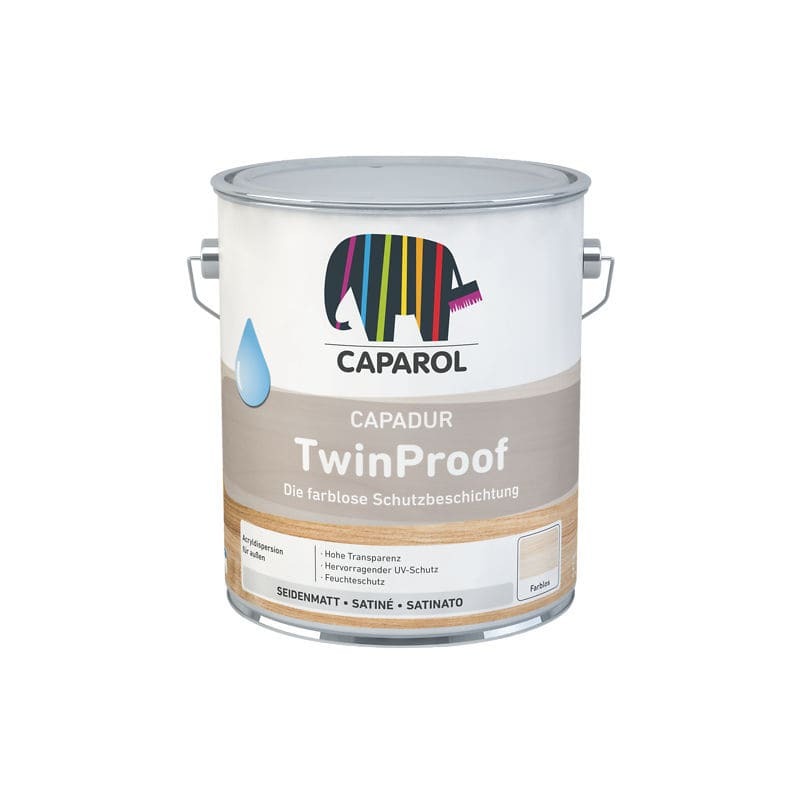 Capadur TwinProof is provided with a preservative against deterioration in the coating film due to fungal (fungi/mildew/mould) and algal attack. The film preservative has a delaying effect to infestation. On highly endangered wooden parts like soffits of flat roofs or plate-type boards (e.g. made of maritime pines) a premature infestation must be considered, depending on the biological loads on site, even before expiration of usual warranty time. The product cannot be used for wood with permanent contact to water and ground/soil.